Well the Rumble has come and gone, that means we are officially in WrestleMania season! To makes sense of all of this, here is how it’s organized by location. man, i feel like this might be the year where we've officially gone too far. like when people started running thursday night shows that was cool, but now noon to midnight thursday is jam packed too. That said i work 4, 10 hr shifts a week and thur - sat are my off days so i will probably watch a loooottttttttt of wrestling. As of right now I’ve got tickets to both ROH/NJPW and WrestleMania. I might try to hit up WrestleCon earlier in the week (if possible). For the record the Spring Break shows aren't at White Eagle Hall, but they are still in Jersey City. 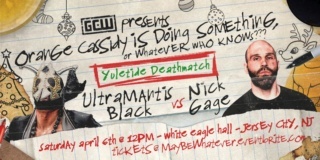 JustSkiff wrote: For the record the Spring Break shows aren't at White Eagle Hall, but they are still in Jersey City. Nevermind, I was wrong. I could have sworn there was talk of holding those shows in a bigger venue than White Eagle Hall. He's also doing ISW's "Lego" deathmatch. 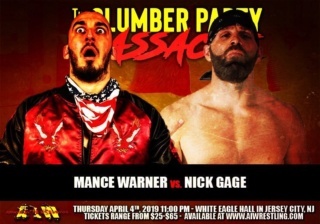 How crazy is it going to be when ultramantis black murders nick gage??? 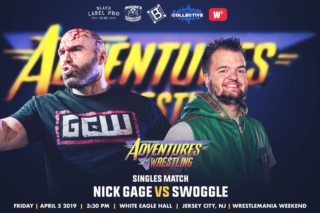 WrestleCon announced they had to change up their line up due to Dragon Gate talent having Visa problems.